I am turning another year older and feeling very reflective as I typically do on my birthday. The years are going by more quickly now, or at least they feel as though they are. It’s not my age that bothers me, but the vast amount of experiences I hope to accomplish before I am unable. There is just so much I want to do and the time seems to be closing in around me. I truly want to live life to the fullest every day. I am proud to feel younger today than I did 20 years ago when I was living a rather unhealthy, inactive lifestyle, eating horribly and smoking. I definitely did not embrace life back then. Now I feel as though I am playing catch up in many ways. I could fill pages with my bucket list, but for this post I will discuss only one running dream. I’ve been hesitant to say this out loud because once I do it will become real. I have a running goal that is so far-fetched it seems absurd at times to even consider it. However, it has become clear to me in the last few years that I am capable of much more than I give myself credit for, and I am without a doubt not working up to my potential. It makes me wonder if I was committed to putting in the hard work might I be able to achieve this seemingly unreachable goal? They don’t call it chasing the unicorn for nothing. I am a Massachusetts girl. I was born and raised in Western Mass. I have lived here most of my life. I cheer for the Red Sox, Pats, Bruins, and Celtics. I am a terrible driver. I say wicked, but without the accent because I’m not from Boston. Even before I became a runner, I would watch the Boston Marathon and cry as the winners crossed the finish line. Then I would continue watching and crying as I listened to the touching stories of the regular Joe’s running the infamous course. In those days, I had no desire to join them. 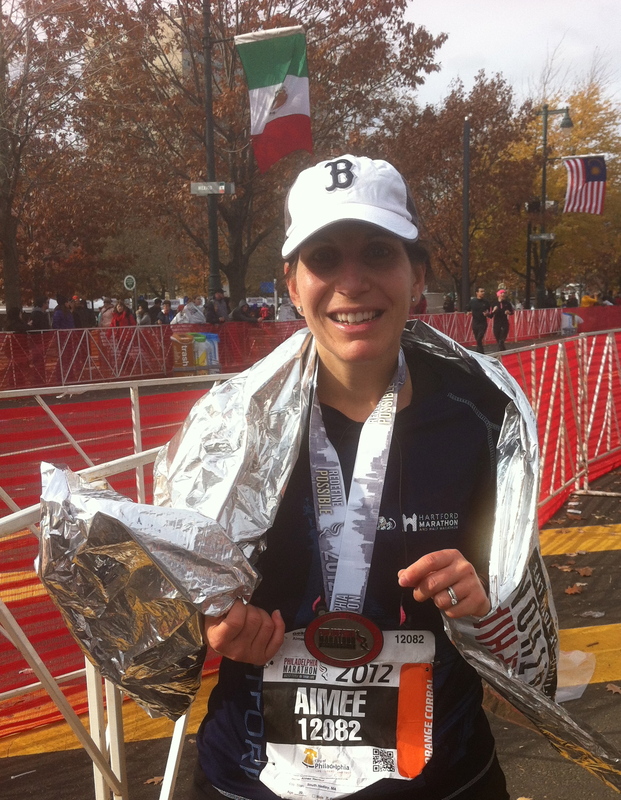 After running my first marathon, I understood the significance of qualifying for the Boston Marathon. Of the many things that make Boston special in the world of running, personally I think qualifying for Boston is the crowning glory for the average runner. Getting into Boston after qualifying is still quite complicated, even impossible for some, but to say I achieved a qualifying time will be vindication enough for my own personal running goals. And so the chase for the unicorn may begin very soon. I have no plan in place yet. I am very far from a qualifying time. If I wanted to qualify within the next year I would have to run a 3:45 marathon, but if I wait a year until I turn 45 that time goes down to 3:55. I will then have 5 years to achieve that time. This dream is only known to a few trusted people in my life and has been on a shelf until now. I work hard when I train for a race, but I feel like I hold myself back from really unleashing my true potential. This extends to other areas of my life as well. I can be pushed out of my comfort zone and rise to the challenge, but I have never set really big goals like this one. I read inspirational stories often of people who overcome the most unbelievable circumstances and I think if they can do it why can’t I qualify for Boston. In 2013, I ran the Montreal Marathon in 4:16:35. It was a huge PR for me and currently stands as my marathon PR. The next marathon I trained for after Montreal, resulted in injury and months away from running. I am still fighting to get back to the paces I was running that year. If I did it once, I can do it again, and if I could get my time down to 4:16 then why not 3:55? The infinite wisdom of running has taught me that I am more capable than I think I am, and consistent work yields noticeable progress. Regardless of the outcome of my pursuit of a BQ, I am excited to push myself in a very different way while tapping into strength and determination I know exist, but have yet to be uncovered. I love your dream and have NO DOUBT you will do the hard work necessary to realize it!